SNAFU! : Xi Jinping moves to become the modern day Mao...this bears watching! Xi Jinping moves to become the modern day Mao...this bears watching! Thanks to Earl for the link! 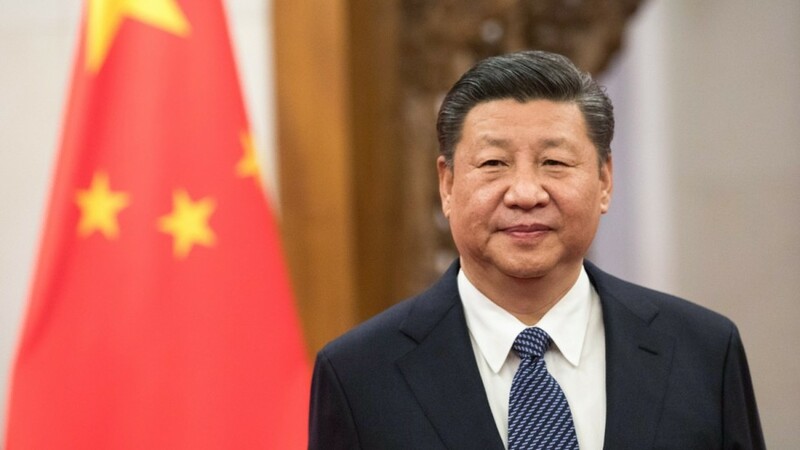 China's Communist Party is calling for the removal of presidential term limits, the official Xinhua news agency reported Sunday, paving the way for Xi Jinping to remain as head of state after 2023. The party's Central Committee has proposed deleting from the constitution the stipulation that a president "shall serve no more than two consecutive terms" of five years, Xinhua said. Xi, who is also party chief and considered to be China's most powerful leader since Mao Zedong, has been president since 2013 and would step down in 2023 under the current system. The proposed change, which would also apply to the vice-president, will be submitted to legislators at the annual full session of the National People's Congress starting March 5. Wow. This is interesting. This guy has been making major league power moves and now we see that he's making his grab. I wondered why certain high ranking officers had been removed. Why certain businessmen had been arrested. I thought it was an anti-corruption scheme. He was removing rivals. Getting rid of troublemakers. Setting the stage for this moment. Many think that he's been reading Sun Tzu. I think they're wrong. This guy has been reading Machiavelli! As far as the US is concerned this is bad news. My reading of Xi is that he is a true believer. He doesn't want China to be the world's super power. He demands it. Yep. I am more convinced than ever that war between the US and China is inevitable. The only thing that could stop it is total capitulation by the US. Assuming we don't cut and run then the only alternative is to get ready now. Step number one. We've got to get our young people in shape. Fat shaming, high school PE courses, taxes on fast food (yep I went there) are just the beginning. If we're gonna win this fight we have to be fit in 3 ways. Morally, physically and emotionally. Physical fitness is the easiest so we need to start there. Play time is over. Xi and his horde is coming.